NOTE: To be clear, DMB was not appearing at the Nebraska State Fair. As far as I am aware. 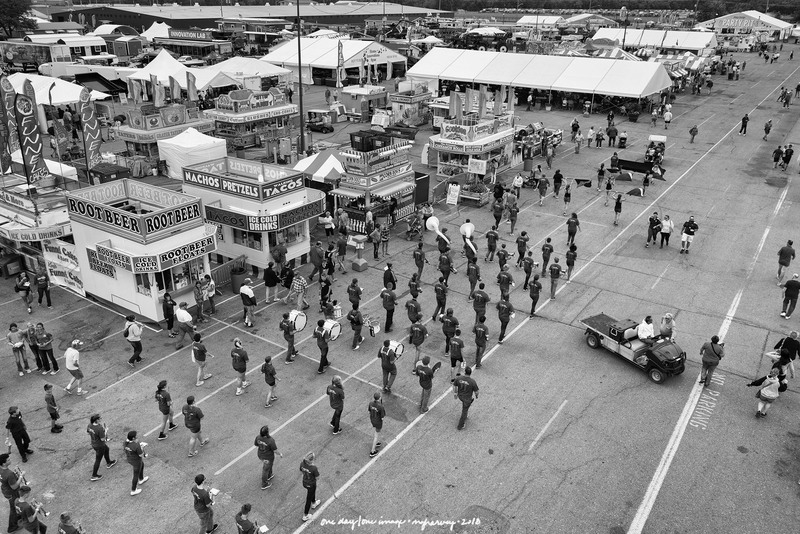 Posted on September 25, 2018, in Photography and tagged 365 photo project, Ant Marching, black and white photography, dave matthews band, learning to see, Leica, melinda green harvey, monochrome, Nebraska State Fair, one day one image, photo a day, photography, postaday, road trip, thoughtful seeing, travel photography. Bookmark the permalink. 2 Comments. Nice catch. Kept eyeing the ant food booths.